We are not having winter in California this year, although it’s very clear the rest of you are. In regards to that, we’re sorry. Really, we are. The high-pressure system locked into place over our state is pushing the weather north and east of us and dumping it all over you. This is not our choice; we really do want our rain. We need our rain. We are speaking to Those In Charge to see if this situation can be remedied. In the meantime, to show you I understand inclement weather, and struggle with the winter blues (believe it or not, one is not immune even out here in sunny California), I present to you an essay of mine, published in 2004. 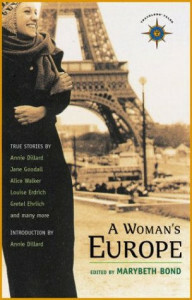 It’s in a Travelers’ Tales book called A Woman’s Europe. The essay’s a fun yet thoughtful read. Those of you on the journey of self-discovery, who are brave enough to explore—and indeed, embrace—the seasonal dark that rises in our souls, whether we live in England, Kansas or California, might particularly appreciate it. I never expected California weather on my January trip to Brighton, but neither did I expect hurricane conditions. There I sat, in my ocean-front room as the wind shrieked and the rain smashed against my window. Okay, not hurricane conditions. But far from a civilized London drizzle. The irony was that this trip was supposed to help take away the winter blues I was caught up in, make me feel less lonely while my husband Peter was out of the country. I’d needed to get away, do something special for myself. Something in me felt broken and I wasn’t sure how to fix it. Winter was affecting me, the monotony of the dark, grey days that followed the excitement of the holidays. It was most decidedly winter in London, where Peter and I were living as expatriates, and the short dark days and drizzly weather made me feel draggy and sad. Slogging down the Putney high street past Boots Chemists, BHS clothing store and Marks and Spencer, I’d numbly make my daily purchases. Faces of the people in dark coats hurrying past me were drawn, unsmiling, grey, reflecting the weather. The raucous noise of the red double-decker buses that boomed and heaved down the streets, battling with the ear-piercing squeal of taxis breaks made me cringe, retreating further inside myself, grieving something I couldn’t name. When Peter went back to San Francisco on business for two weeks, I decided to take a weekend escape to spoil myself. I settled on Brighton, a seaside resort town that for centuries had been a tiny fishing village. The brochures and travel guides showed sunshine, happy people, arcades and amusement rides—the Londoner’s Atlantic City or Santa Cruz. I splurged and booked a pricy ocean-view room in a posh Georgian-style mansion hotel. Perusing the brochure in the afternoons prior to my departure, I felt my spirits lift. Arriving in Brighton, I checked into my mansion hotel and promptly headed out. I passed through the narrow, winding, pedestrian-only streets of The Lanes that positively oozed charm, ignored the eccentric Indian-style Royal Pavilion, and instead found my way to the epicenter of cheer and happiness: the Palace Pier, where the boardwalk attractions were shoved onto a pier that jutted over 1500 feet out into the water. Tourists milled about as music blared from the loudspeakers. I strolled up and down the pier, checked out rides that elicited happy shrieks from passengers, and arcades that blasted out bells, clangs, electronic shrieks and testosterone of the fevered teenage boys inside. Shivering in the chilly, damp wind, I worked my way through some sickly-sweet candy floss (that turned out to be plain old cotton-candy) and tried to feel euphoric. But the loneliness, the numb, trapped feeling had followed me from London. I could see people around me laughing and having fun, but something wasn’t letting me in. After an hour of wandering around in the drizzle, worsening weather forced me back to my hotel. Fortunately, I had a pretty room, spacious, with high ceilings, a sumptuous bed topped with a nest of pillows and a duvet of tasteful pastels that matched the room’s chintz armchairs. The chairs and a mahogany table set between them were angled for maximum enjoyment of the room’s crowning glory: an enormous picture window facing the ocean just across the street, a window that now rattled and shook as the wind picked up and rain started pounding horizontally against the pane. I curled up with a cup of tea, studied the gilt-framed paintings adorning the walls, then tried to read as the wind shrieked. The storm worsened as night fell. As hunger pangs began to gnaw at my stomach, I considered staying in the hotel for dinner, but the thought of English hotel food (could there be a worse combination?) depressed me unutterably. I’d picked out a cozy restaurant in The Lanes, tucked amid the picturesque shops, sure to cheer me up. Reluctantly, I picked up my raincoat and umbrella and headed out. The rain was a brutal slap against my face. It became immediately evident that the umbrella was going to be more of a liability than help. The battering wind turned it inside out within minutes and practically wrested it from my hand. After five minutes of continued tug of war, I finally gave up and closed the umbrella. A block later, still far from my destination, I was drenched. To hell with The Lanes, I decided. 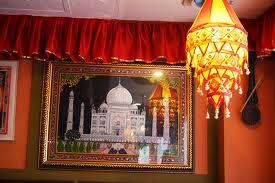 I saw an Indian restaurant a few steps away and dove into it. The owner of the restaurant seemed startled, as if he weren’t planning on seeing anyone that evening. He shook my hand vigorously, his eyes brimming with gratitude, and showed me to a table. I took off my sopping London Fog, handed the dripping bundle and vanquished umbrella to the waiter, and sat. The room had red leatherette booths, red tablecloths on the center tables and dim lighting. Portraits of dancing Hindu goddesses graced the rose-colored, gold-trimmed walls. It felt like a womb. It wasn’t what I’d planned. But it was warm and comforting, the air fragrant with cumin, cardamom and baking bread. I was the only customer. A busboy hovered in the corner, watching me sip my water. After every third sip, he’d rush over and fill it up. “Thank you,” he’d say. “Oh, thank you,” I’d reply. I quickly caught on that this thank you business was crucial. My food arrived. “Thank you,” the waiter said, set down my chicken tikka masala. He returned with rice and naan bread. “Thank you,” he said, before placing them alongside the chicken. “Thank you,” I parroted. This continued as he brought out the raita, the heated plate, the bread plate, the chutney, until finally he disappeared behind the red kitchen door and I was free to eat. The owner stood near the front door, hands clasped behind his back. He stared out the window and periodically turned to me, smiled and asked how my dinner was. At my enthusiastic response, he would give a little bow before resuming his gaze out the front window. I felt the sadness hovering in the shadows, like a leering gremlin. As long as I stayed in the light however, it would leave me alone. I ate my dinner slowly, dreading my eventual departure back out into the storm. The wind continued to shriek. “Is the wind often this bad?” I asked the next time the owner turned back toward me to check if my food was still excellent. 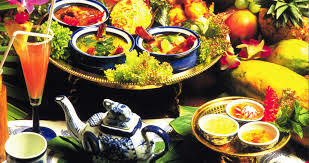 After lingering over a steaming cup of masala chai and paying, I pulled myself up with reluctance. The waiter fetched my soggy raincoat and umbrella and I bundled back up for the walk home. The owner shook my hand and the three of us regarded each other for a wistful moment, knowing the evening was only headed downhill from here. My room back at the hotel was freezing. I called down to the front desk to complain. “So sorry,” the clerk apologized, “it’s the wind from this wretched storm.” He sent a bellboy up with a space heater to augment the heating system. When it arrived ten minutes later, I studied the narrow, white, three-foot panel shaped like a wall radiator. “This will heat the room?” I asked, and the bellboy hastened to reassure me. As expected, the panel’s weak source of heat did little to offset the chill, emanating from the oversized windows. An hour later, the tip of my nose felt as cold and damp as a dog’s. I called back down the reception desk. Fifteen minutes later, I had twin white-panel space heaters standing sentry by my bed. Thus protected, I went to bed. I was having a dream. I was all alone in some frozen landscape that seemed to resemble my native Kansas. It was growing colder, darker, and I only had a nightshirt on. I was walking on and on, past the glacial hills and glittery trees. Snow animals, a cross between cats and wolves, sat off the side of the road, and howled at me as I passed. As I passed too close to one of them, he let out a yowl that made me jump away in fear. No kidding. And to think I’d left my comfortable home, driven two hours and was shelling out a considerable sum to be stuck inside a howling room that felt like a refrigerator. A wave of self-pity engulfed me. After breakfast, I returned to my room, which was, if anything, colder. I peered outside. Rain slapped at the windows; there was no way I was going outside. The gloominess that had been flirting with me all weekend settled in my heart for good. I dropped in an armchair to read, but was soon distracted by a burbling noise. Looking up, I discovered the rain was coming in through the cracks of the side windows. Then I heard a distinct splat. I glanced up higher—water was leaking from the corner of the ceiling. Within five minutes, a second leak sprouted and began to drip onto the television. I called down to my good friends at the reception desk. “Another space heater?” the clerk inquired. When the bellboy arrived, we planted one bucket on the TV and one next to the wall. “I don’t believe it’s any warmer in here, is it?” he asked hesitantly. I shook my head. “I’ll bring you another space heater,” he said, his face brightening. He scurried off and returned ten minutes later with yet another white paneled heater. Hunting down an available plug in the corner of the room, he got the heater going, and beamed at me. Clearly my problems were solved. After he departed, I went to the window to look out. 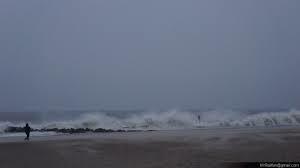 Through the fog of rain and sea spray on my window, I could make out angry, white-capped waves plowing into shore. I turned around and regarded at my deluxe, ocean-view hotel room, my supposed escape from the real world. Three buckets and four space heaters looked mournfully back at me. The gloom, the lurking sadness, the loneliness, the dark muck all came to the surface in a burst of cleansing rage. Screw this, I thought, I’m facing this storm full-on. Zipping up my still-damp London Fog raincoat, I stomped out into the storm, the wind and fury. The numb feeling had disappeared, replaced by wild grief, coming from a dark place inside me that didn’t want to calm down. Rain and cold slapped at me as I headed down to the beach. Like monsters full of fury, the frothy blue-white waves thundered down and attacked the sand. The little beach was devoured time and time again. With a hiss, the angry water would pull away, clattering on the pebbled sand. Attack and retreat, ebb and flow—the waves were alive and utterly indifferent to the people who scurried along their periphery. I stood and watched, mesmerized. The ocean was me, it was the way winter was making me feel. And the storm was life, just as the dark, gloomy days of rain were. I thought of the restaurant owner’s words last night: It is fact of life, it is simply the season for these storms. I knew all about inner storms; they’d terrorized me in my adolescence during the long, cold Kansas winters. As an adult, I’d polished the art of running from the winter blues. 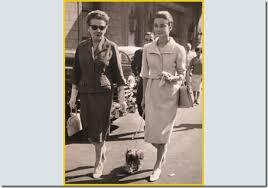 Keeping busy with work and social life had helped, as had California’s sunny and mild winters. Now, however, I had the time, space, solitude and increased darkness of the northern latitude to dwell inside the soul, to observe the murky depth, the grief-like yearning for something intensely primal, that weighed heavily on me each winter. Standing there on the Brighton beach, watching the ocean batter and get battered, it dawned on me that this dark, frightening feeling was natural, organic, something I should embrace, not shun. Life, I sensed, wasn’t about always running from the turbulence, rain and gloom. In pausing to mull over this, the dark feelings caught up with me and suddenly I was sobbing, unearthing what felt like an endless supply of tears and emotions. The ocean was roaring so loudly, none of the equally foolish people out walking the beach one could hear me, so I howled (never really sure why), shuddered and snuffled. Finally the tears subsided, leaving me still sad, but paradoxically, better. “It’s okay, honey,” I could almost hear my mom say, the way she did when I was a kid. “Go ahead and cry. It gets the cobwebs out.” I thought of the other sayings she used to throw out, like, “this too shall pass” or “into each life some rain must fall.” They were always folksy, timeless and true. The latter seemed particularly fitting this weekend. And the rain did fall. And fall. There was no clearing of the clouds and triumphant burst of the sun’s rays after my moment of enlightenment. Calmer, I trudged back in the wind and rain to the hotel for a cup of hot tea with my buckets and space heaters. The winds died, the storm abated, but it rained all night and the next day on my way back to London. In fact, it rained for the next seven days. And every evening, still alone in London, I’d curl up in a blanket in the dimly-lit living room and read soppy romance novels. I’d cry and cry before reading more, emitting little hiccups of grief. But it was all okay, because something inside me now recognized the importance of this darkness my psyche seemed to crave. Accepting this, my sadness became lighter, almost soothing. I told my sisters later about embracing the dark, about acknowledging and honoring the grief that creeps over me every winter. One told me that she’d pray for me, that it was such a sad, lonely state. Another suggested trying out the antidepressants she used and swore by. Only one understood that this downward pilgrimage of sorts was what we were all intended to do. She could appreciate how right it felt to stop fighting and simply settle into that soothing darkness, the soul’s form of hibernating. And when the season passes, just like in Brighton, the sun comes out, the ocean sparkles and life once again blooms and thrives. Such are the seasons. This entry was posted in Life and tagged A Woman's Europe, Brighton, embracing the dark, embracing the darkness within, Travelers Tales, winter blues, winter in Brighton, Winter in California on January 31, 2014 by admin. • How to prolong the life of your pointe shoes: by pouring shellac into the inside toe section, once it has gone too soft for comfort. Incidentally, if you’re in a hurry to use the shoes, you can bake them in the oven to set the not-quite-dry shellac more quickly. A low oven temperature (maybe 225 degrees) so it doesn’t scorch the satin. Baked filet of sole. Bon appetit. • How to count. Or was I irresistibly drawn to ballet because I’ve always counted out things—footsteps, breaths, patterns, songs, meditation techniques, pieces of candy—in fours and eights? I count everything that way. Granted, if it’s a waltz we’re doing in ballet class, that’s 3/4 time and not 4/4, and that’s cool, too. Point is, I count, constantly. When I’m doing a class at the gym, especially. It keeps away the boredom from all the too-easy repetition. In aerobics or kick-boxing, it bothers the hell out of me when others get off count, drop a count and do the steps that 1/8th count too soon . And if they’re in front, the others follow suit, except I refuse to, because the music is telling us the counts, dammit, and the music has changed not one damned bit. I will argue that this is a ballet dancer thing. That ballet dancers are soothed by that trustworthy 4/4 count or 3/4 waltz count. By counting. And no one in ballet class ever drops a count and moves the combination a notch faster. Thank God, thank God. Oh, ballet dancers and their concise counting—how I love them. • How to give old tights new life. Once the holes and/or runs render the pair unusable, cut off the feet and cut out the crotch, put it on like a shirt, waistband first. Voila, you’ve got a sheer ¾ sleeve undershirt of sorts for use under spaghetti-strap leotards, that adds extra support, or over the leotard, for that bit of warmth you might be seeking. Gives a cute, retro look to your ballet attire. • How to walk like a princess, or like Audrey Hepburn. Face it, all that emphasis on perfect posture, year after year, works. You walk with majesty, dignity. Age doesn’t take it away, nor does weight gain. Remain mindful of that ballet dancer’s posture (I can feel my ballet dancer readers straightening their spines and tucking in their tummies as I speak), make it yours, and you are regal. Strut your stuff and be proud of this heritage you created for yourself. You and Audrey. • How to spot another ballet dancer. For starters, they’re doing that “regal like a princess” walk, too. And, in kickboxing class, they’re the only other one in the class beside you who’s stretching. (Okay, maybe a yogi is in the class, too. Yogis are okay. 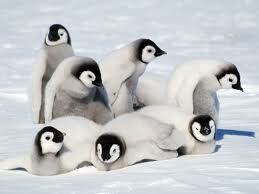 Almost as acceptable as ballet dancers.) And the way he/she points their toes, oh, yes. And the graceful arm placement, oh, yes. Most of all, both of you share a joy of movement, a delicious sense of making so much more out of it all than the slouching, smiling slobs all around you. You are indeed of the same tribe, you and that other. Ahhh. Makes a gym class all the more fun when you can share it with that kindred soul. And, as always, I’d LOVE to hear your own comments and reflections. 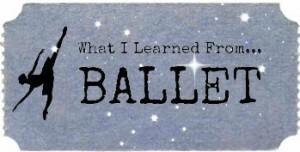 What have you learned from ballet? This entry was posted in Ballet, Life and tagged 5 things about ballet, 5 things I learned from ballet, ballet dancers and posture, how to count like a ballet dancer, how to prolong the life of your pointe shoes, how to spot another ballet dancer, how to walk like a princess, Terez Rose, The Ajennda, what I learned from ballet, what to do with old tights on January 24, 2014 by admin. What do ballet dancers eat? 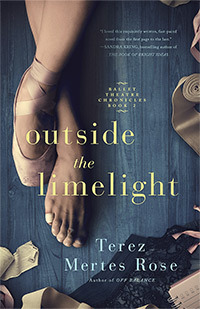 Interested in my dance-related fiction? Check out Off Balance and the award-winning Outside the Limelight, Books 1 and 2 of the Ballet Theatre Chronicles, as well as my newest, A Dancer’s Guide to Africa. Just click on their titles! Over at Q&A, someone asked about what ballet dancers eat. It’s a common enough question; people are thinking if they could get a hold of that diet, that mentality, well, they’d be set for life. Or they have this image of anorexia and lifelong self-denial. I told the reader to dispel the notion of carrot sticks and granola, black coffee, Diet Coke, that might be going through their heads. When I was young, during the late Balanchine era, that was the image circling around about ballet dancers. Happily, there is more of a focus on nutrition and healthy living these days. Maybe some dancers will eat those aforementioned items as a personal choice. But the main point is this: professional ballet dancers are athletes at the top of their game. They work hard, they require high octane fuel. Granted, their bodies also function best when not laden with excess poundage, so they can’t over-fuel. It’s an eat-to-live philosophy versus a live-to-eat one. You eat what you need. In truth, this is the world’s greatest dieting secret/tip. You know those commercials they run on websites, this “try this one crazy secret for weight loss that have doctors baffled!”? Can’t stand those stupid things, never mind that I always want to click on the link to see “the secret.” Here’s the secret. Eat what you need, not what you want. And if you want more, well, friggin’ go burn it off and then you can have more. First, a point that can’t be overlooked: body type. Professional ballet dancers are indeed slender, usually long-legged, short waisted, perfect for the work they do, much like runners. I will hazard a guess that one’s body type is what helped each one get this far in their chosen vocation. Look at those Olympic runners. You don’t see short, stocky ones. It’s not discrimination, it’s the right body type gravitating to the right sport. You don’t see short, stocky professional ballet dancers for the same reason. The reality of their body means they probably diverted to gymnastics, acrobatics (Cirque du Soleil – my fave! 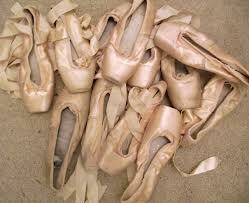 ), where they excelled in a way they couldn’t have in ballet. But back to the main point. Food. Which dancers need plenty of, just like any top-level athlete. They are not fashion models who can subsist on 500 calories a day. They have to fuel the engine that drives them through rehearsals all day long and performing in the evening. So. Quality food, as much as is needed (note: needed and not craved). No wasted calories. Protein is crucial. (Eggs! Nuts! Chicken!) Fruit and veggies for grazing. Bananas are a great choice, as they also provide the potassium that keeps muscles from cramping. Peanut butter on banana, yogurt and a fistful of nuts before the evening’s performance? Perfect. 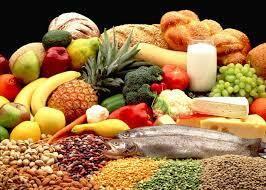 Carbs, sure, but the purer and coarser the grain, the better for the body. Here, however, what I seem to find from reading interviews about what certain dancers eat, is that dancers aren’t nutrition purists. Some of them, in fact, like their junky food. A daily croissant sandwich (granted, with egg)? Face it, croissants aren’t power food. With their refined white flour and high fat, they’re crap. (And oh, I love them as a special treat.) Ice cream? It’s on more than one dancer’s list. Likewise, burger and fries. But hey, why not, from time to time? Dancers have a high metabolism because they’re working, working, working those bodies. And if it’s a quality lean hamburger (grass-fed beef!) with cheese and avocado and sautéed mushrooms, not a bad choice at all. Another facet of ballet dancers’ eating regimes that helps to keep their weight down: they graze. They do not sit down to three meals a day. Lunch is often a quick 3pm affair, food that can be consumed between rehearsals, nothing too heavy, yet nothing too insubstantial. Think the ubiquitous banana, half a turkey and avocado sandwich, or a deli Mediterranean salad with feta and olives and pine nuts tossed on top. That kind of thing. Pre-performance, there needs to be a meal-but-not to get them through the evening’s performance, but certainly not a full dinner. That will come at 11pm. Late, sure. But do they have a choice, when the stage calls? Besides, it’s their one chance to eat like a real person, sitting down, a plate of pasta or a slab of grilled salmon. A well-deserved glass of wine. All right, here are Classical Girl’s Top 10 tips on how to eat like a dancer, or like an athlete, or just eat like a person on a healthy diet. Make every calorie count. Eat tasty things that also happen to have good nutrition, like coarse breads or nutty breads, salads with chunks of fresh veggies. Exercise. Lots. It makes meals taste so much better. Enjoy everything you eat. If it’s caloric and you love it, enjoy! If it’s caloric and you’re not enjoying it, dump it in the trash. Graze on nuts between meals, especially ones you have to shell, like pistachios and peanuts. You won’t eat too many that way. And toss out the Doritos and Fritos (but save the potato chips for a luxurious one-ounce portion the next time you need, really need them to go with your sandwich). Be bad from time to time. Weirdly, this preserves a long-term diet better than anything. Measure out the bad stuff, eat a small serving of it. Enjoy the hell out of it. But don’t go back for seconds. And never be bad more than two days in a row – the scale will be cruel. Eat lots of fruit. Always have a stock of dried fruit on hand – easy with its nice, long shelf life. Pre-cut those servings of fruit in the morning. A sliced apple will be eaten when a whole one can be easily deferred. Ditto an orange that’s already been peeled. And how many of you have kept a cantaloupe in the fridge for two weeks because you just can’t get around to cutting it open and slicing it up? I’ve had them go bad on me in that way. Keep lots of healthy foods in your refrigerator, your pantry and don’t buy the indulgent stuff in family-sized quantities. Harder to reach for something bad when it’s not in stock. Be good to yourself when things get tough. 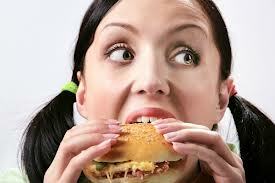 Recognize when you’re eating for the joy of it, versus eating out of boredom, nervousness or even self-hate. In the latter two, be compassionate, observe it, and walk away from the kitchen. Celebrate a good life through good food. 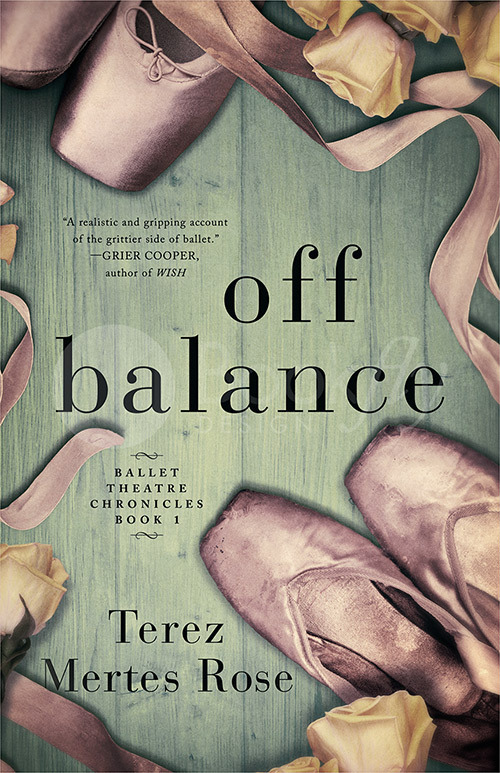 Like reading about ballet dancers and their lives behind the scenes? Check out my novels, OFF BALANCE and OUTSIDE THE LIMELIGHT, at http://amzn.com/B00WB224IQ and https://amzn.com/B01M0NIIX0 respectively. This entry was posted in 10 Things, Ballet, Life and tagged 10 things to eat healthy, 10 tips to eat better, ballet and eating right, ballet fiction. Off Balance, ballet novel, Classical Girl's Top 10, dancers and food, how to eat like a dancer, How to eat like an athlete, Michele Wiles, nutrition and ballet, Pointe Magazine, secrets of why ballet dancers stay thin, tips on good eating, Top 10 tips on how to eat like a dancer, what do ballet dancers eat, What do dancers eat, Why are athletes thin, why are ballet dancers thin on January 17, 2014 by admin. I’ve always liked Chopin and I’m wondering now if maybe everyone with at least a hint of classical music under their belt does as well. Particularly ballet peeps: it’s so ideal for pliés and the adagio section of class, or the stretching between barre and center work. One time I was in a San Francisco ballet class that had live piano accompaniment and the guy was playing a Chopin nocturne during stretch time and I was in dancer heaven, feeling all my movements morph into art, courtesy of that beautiful music. Frédéric François Chopin. Born in 1810 in Poland, child prodigy on the piano, trained in Warsaw, left Poland at age twenty. By twenty-one he was settled in Paris and quickly became Someone Worth Listening To. He died tragically young, before turning forty. In that time, he only gave thirty public performances, but was much sought after in private salons and as a teacher. And he composed. Oh, did he compose. 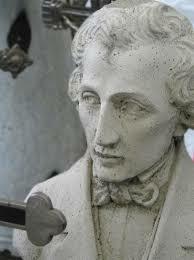 There’s something about Chopin that puts him and his music in a category of its own. I hear a composition of his and it’s unique and haunting, his use of the minor key mixed in with major. One hand accompanies, the other sings a melody rich with nuance and longing. Most of his compositions are short form, solo piano music. 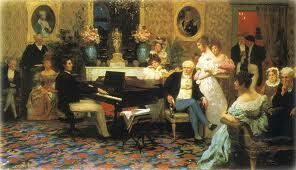 He composed 20 nocturnes, 25 preludes, 17 waltzes, 15 polonaises, 58 mazurkas and 27 etudes. Enough talk, though. Let’s give you some tunes so you can better experience what we’re going on about. The first one is Chopin’s complete Nocturnes, performed by pianist Brigitte Engerer. If the embed doesn’t play nice and share, HERE is the link. And here’s a “Best of Chopin” clip that’s two hours long. Nice. And an added treat for ballet peeps: the first piece was used in the closing credits of The Turning Point. You’ll instantly recognize it. 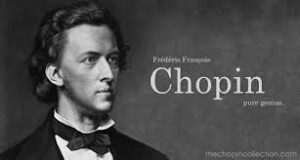 Thank you for your beautiful music, Frederick Chopin. You made the world a more beautiful, soulful place. 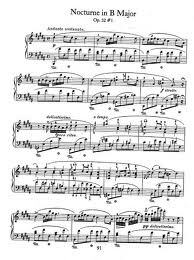 This entry was posted in Ballet, Classical Music, Life and tagged ballet class to Chopin, Brigitte Engerer, Chopin, music playlists for relaxing, Nocturnes, piano music to listen to on January 9, 2014 by admin.